Geography: West Midlands. Part of the Wolverhampton council area. Profile: The city of Wolverhampton is at the north-western corner of the West Midlands urban area. It was an industrial city and while the service sector now dominates, engineering is still an important part of the local economy, particularly aerospace. Other important local employers are Chubb and Tarmac. Wolverhampton South West is a mixed seat, including the City centre itself and some of the more inner-city and deprived areas of Wolverhampton, but then stretching out to include the city`s affluent suburbs like Tettenhall. It has a high proportion of ethnic minority voters - predominantly Sikh - particularly in the inner city wards. Politics: Wolverhampton South West has traditionally been the most Conservative of the Wolverhampton seats, it used to be regarded as a safe Conservative seat, held by the party from 1950 until 1997, most famously by Enoch Powell who represented the area until 1974 when he stood down and called upon people to vote Labour. The Conservative party`s difficulties in attracting votes from ethnic minorities have no doubt added to their problems here and since 1997 they have held the seat only between 2010 and 2015. ROB MARRIS (Labour) Born 1955, Wolverhampton. Educated at St Edwards School, Oxford and University of British Columbia. Former solicitor. MP for Wolverhampton South West 2001-2010. First elected as MP for Wolverhampton South West in 2015. PAUL UPPAL (Conservative) Born 1967, Birmingham. Educated at Harborne Hill Comprehensive and Warwick University. Contested Birmingham Yardley 2005. MP for Wolverhampton South West 2010 to 2015. ROB MARRIS (Labour) Born 1955, Wolverhampton. Educated at St Edwards School, Oxford and University of British Columbia. Solicitor. MP for Wolverhampton South West 2001-2010. DAVE EVERETT (UKIP) Small businessman. One thing that’s rarely pointed out by the advocates of a 1992 repeat is that the Conservatives lost 40 MPs at that election and a small percentage of the overall vote. For the Conservatives to have a lead of 7-10% in 2015 you will need to see a big UKIP breakthrough with it taking more wwc votes from Labour than the Conservatives. You’re probably looking at UKIP at 20% or more to achieve such a result. However I would say that the electoral biase towards Labour is likely to be much reduced. Firstly because Labour might pile up ex-LibDem votes where it does Labour no good – either in urban areas or in seats where natural Labour supporters stop voting tactically for the LibDems. Secondly because many newly elected Conservative MPs will gain a personal incumbancy vote. In some margainl seats a double incumbancy effect will occur. But I don’t see any route to a Conservative overall majority. The best they can achieve is maybe 315 MPs if they make gains from the LibDems and hold the line against Labour – its asking a lot for the Conservatives to make gains in 2015 which they couldn’t manage in the easier circumstances of 2010. And then the Conservatives will be in the ‘interesting’ scenario of running a minority government which is continually criticized by Labour, LibDems and UKIP, vulnerable to any level of backbench rebellion, unable anymore to blame everything on Gordon Brown and having to sort out all the problems they neglected during the coalition. Sounds like political hell to me. Also, the traditional idea that most Labour areas are depopulating whilst Tory suburbs are expanding may be starting to change….at least in London. The population and electorate of Inner London are growing fast, not just in the Tory centre and west but in most of the Labour boroughs as well. Meanwhile, coming up against green belt restrictions is now limiting the growth of many Tory-voting suburbs in the south east. For the first time in God knows when, London may well gain seats in the next boundary review, with Labour seats in places like Hackney having a bulging electorate in the interim. We can’t assume that Labour having a lower average seat size than the Tories will go on indefinitely. Most recent opinion polls show between 15%-20% of people who voted Tory in 2010 now support Ukip while only 3%-7% those who voted Labour have moved to Ukip. The East and West Midlands are 2 of the strongest regions for Ukip. I believe the proportion of former Tories supporting Ukip is higher in the Midlands than nationally so a higher Ukip vote could hinder the Tories efforts to keep their many marginals here. I have noticed the Labour lead over Tories in the Midlands regional breakdown of polls is correlated with rising Ukip support – more than in other regions. People who are really annoyed about immigration are unlikely to have voted Labour in 2010. While the rise of Ukip could limit the potential for Labour to regain voters this is more than offset by Lib Dem defections. While Tory supporters moving to Ukip and Lib Dem to Labour will likely be big factors in next GE I suspect these effects could be bigger in the Midlands! I can’t see Paul Uppal hanging on here. Lib Dems defections to Labour will be sufficient to overwhelm his majority. The Tory vote share could increase overall simply by taking some Lib Dem votes – as was achieved in 2011. Votes that went astray in rather unusual circumstances in 2010 when they didn’t achieve their full potential. This assumes little if any net swing between Conservative and Labour – but the polls show there has been very little – even in mid term. Yes some Lib Dems votes will move to the Tories but opinion polls tend to show Labour getting twice as many LD defections as the Tories. What one has to do is gently nudge them the right way. but gently point out that they don’t really want Ed Balls bankrupting the country for good either. Without trying to start a debate about that group, I will at least remark that groups like this which try to argue that they’re not anti-women, don’t help themselves by having an ad up for a site promoting a cure for ‘feminist indoctrination’. Just saying. I should think there’s no chance he’ll hold his deposit. I should think his intention is more to be a spoiler, but unless the end majority is mere double-digits I doubt this fella will have any impact whatsoever. And it’s fair to say Rosa, that at least in this little corner of the Internet there’s no sexism here. Shame I can’t say that when I look at a few YouTube comment sections. I think the city centre area/St Peter’s ward (which includes the collegiate church of the same name) has been in this constituency since its creation in 1950, which seats was it in before then? This article on bbc ( bbc.co.uk/news/uk-northern-ireland-24900825 ) has a video summarising his political career. sad news, but he wasn’t a young man. He must have been one of the most relaxed & avuncular MPs to have sat for a Northern Ireland seat in recent memory. I suppose you could argue that he was more of an old school SDLP breed, rather than overtly nationalist. His politics seem to have grown out of civil rights, rather that anti-partitionist sentiment. Closer to the SDLP envisioned by Gerry Fitt perhaps, than Hume. It’s entirely possible that Labour will get councillors elected in all Wolverhampton wards except Spring Vale and the two Tettenhall wards again this year. This would leave the Tories with 12 councillors, but if Labour repeat the same achievement again in 2015, they’ll be down to just 6 councillors, all of them from Tettenhall. As I’ve mentioned on the West Bromwich East thread, Sandwell and Wolverhampton are on their way to becoming monolithic Labour authorities. The Tories may be able to win either Wednesfield ward or Bushbury North next year due to it being a general election year, but I think their on their way to be confined to the Tettenhall wards. And I don’t have enough local knowledge to know why the Lib Dens have held on for so long in Spring Vale. The city is trending towards Labour demographically and I don’t think the Tories will ever be able to win the Wolverhampton South West parliamentary seat again unless there is radical boundary changes. But it’ll probably be at least another 20 years before Labour get a clean sweep on the council when Tettenhall and Spring Vale go Labour. Of the former MPs vying for a return to Parliament, I put Rob Marris as a definite favourite to be back in Commons next year. He was well regarded as an MP and was not caught up in the expenses row. Two pluses surely. Maybe not as clear cut as people once thought when incumbency is taken into effect? Lord Ashcroft has today published one of his marginal polls, sample size 1000, just for Wton SW. The sampling was in late April. No sign of an incumbency effect there. Mr Uppal ought to be very worried, especially since it’s unlikely to be widely known yet that Rob Marris is standing again. Thanks for the calculations, but I suggest that you need to first compare the 2010 local and general election results for the same day. You’ll find that Labour were way behind on the locals, yet only 2% behind in the GE. And regarding incumbency bonuses, bear in mind that here the former MP will be standing against the current one. I get the same figures as Ashley. Does anyone really expect the tories to hold this seat? I haven’t done at any time since 2011. Consistently good Labour results in local elections especially in 2012. Ashcroft poll does now give Labour a lead that would appear to be very challenging for the Conservatives to reduce. 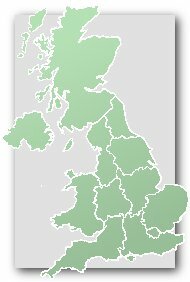 During the 1987 – 1992 were there any constituencies which registered Labour leads of this margin at local elections but were held by the Tories in 1992? Most likely – Labour gain. Could go either way though. UKIP will do a lot better than 11% here….obviously it will be a Labour gain however. IMO an excellent and fair summary of Powell’s legacy from the point of view of the political right. However, just have a read through the 100 or so comments underneath the piece. They are almost uniformly hostile to the author and adamant that “Enoch was right about everything”. LD candidate is Neale Upstone. Labour gain – Majority 1,500. If Labour piles up its vote in the inner wards (where it’s strongest) and manages to remain competitive in Penn and Merry Hill, this should be theirs next month. The Tories carried those two in last year’s local extremely narrowly. the tories’ problem is that, while they still have two very strong wards, labour now has 3. they would need to outpoll labour by a quite large amount in penn & merry hill to counteract that, and it doesn’t seem likely. This seat has continued to move towards Labour demographically I think. It could still be tight here though, but I would amazed if Paul Uppal actually did hold on to this. With the exception of a possible gain in a tory landslide in 2020, I think Wolverhampton SW will slowly turn into a reliable Labour seat. But there’s always the possibility of radical boundary changes affecting things. the electorates of all 3 of the Wolverhampton seats are a bit on the low side. I wonder what Enoch Powell would make of the political situation in this seat today if he was still alive? Dave and George are visiting the former Banks’s brewery – now Marstons – in this constituency today. It is considerate of them to support Mr Uppal but ,since Labour won the Penn ward for the first time ever in 2012, his fate has been sealed. What obvious joke? Laughing all the way to the bank? The Results : Stop being obtuse! try thinking of piss-ups & breweries, theresults. LOL why what do you mean I have missed the obvious joke haven’t I?